We've been watching a heck of a lot of Breaking Bad over the past month. Chatting with friends, it would seem to be one of those polarizing shows; people absolutely love it or they seem to completely loathe it. I can't figure out why. Sure, it's violent and a bit slow moving at first, but it's amazing to watch Walter White spiral into the hell that is taking over his life. Introducing the most bada$$ Lego set ever built. Nay, not built. Available for purchase! 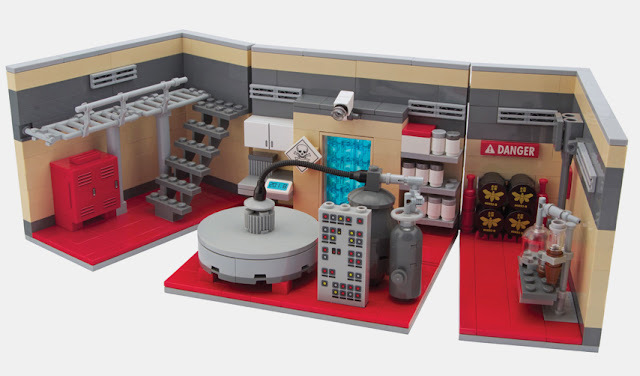 The three-sided set was built by CitizenBrick and is available for only $250. According to the Internets, that's the same price as 2.5 grams of meth! And way more fun! Hey kids! Want to cook your own meth? 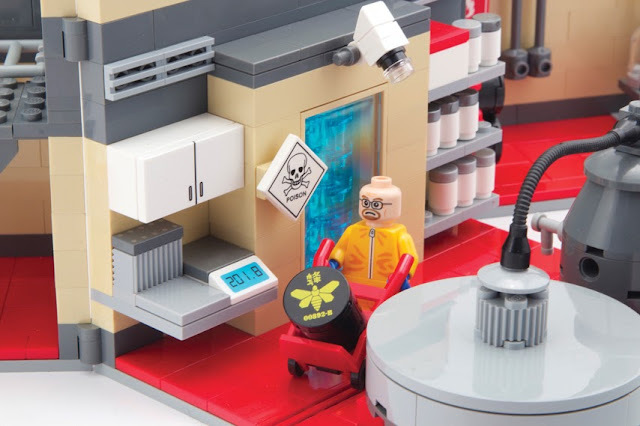 Introducing... the Breaking Bad Meth Lab! Now you too can be like Walter White and Jesse, popping caps and making the finest crystal in the whole U.S. of A.